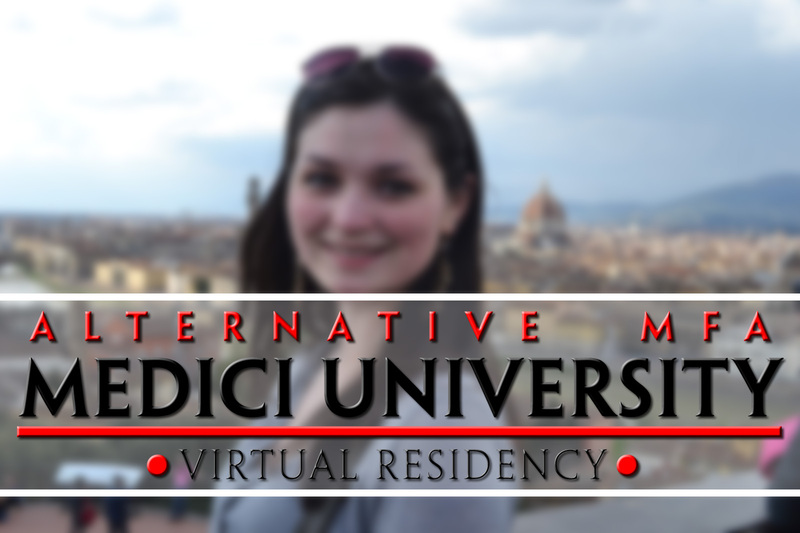 Q: I received a call for Teaching / Studying at Medici University. Is this a real online university? A: The idea of MU is to offer “alternative degrees” in the arts. MU is a non-accredited university. We focus on self directed study. Rather than give students a long list of requirements and formal coursework, we enable them to choose their own curriculum. Write your own “requirements” and then go learn & do those things. It might include some instruction in a Virtual World, or Online Study, informally or in a MOOC. It should include Activities and Project Work. MU student advisers and faculty are available to help students devise their own curriculum. We’re trying to take the “jumping through hoops” out of education and return it to the passion of, and value to, the individual. When students complete the program they’ve designed for themselves, we give them a degree! Q: Is this an Art Project? Is there a budget for running this? A: MU is a real, non-accredited, virtual university. You can think of it as an “art project” if you like. There is no MU budget. MU does not charge any fees to anyone and we don’t pay anyone. Q: What are MU’s guiding principles and basic influences? The History & Future of (mostly) Higher Education, by Cathy Davidson – Feb 2014 MOOC where Davidson boldly rethinks the nature of higher education. The Art of Non Conformity: set your own rules, live the life you want, and change the world, by Chris Guillebeau – after investing US$30,000 in a 1-year masters degree, Guillabeau rethought our educational system and asked if you could get a better education for less money. The Death and Life of Great American Cities, by Jane Jacobs – After reading Jacobs, it’s hard not to be convinced that Mixed-Use is key to vibrant spaces in RL or VR. MU will have Classrooms, Student Studios, Dance Clubs, & Retail Shops all mixed in a, hopefully vibrant, array of neighborhood activity! Murder of a Medici Princess, by Caroline P. Murphy – This is the story of MU’s provost, Isabella Medici. A remarkable patron of the arts, she was murdered by her husband at the age of 34. It’s easy to say that the 16th century was a time of ignorance and misogyny. But the 21st century shouldn’t be. MU is dedicated to the belief that a more educated world is a richer, happier, more diverse, more inclusive, more innovative, more productive world. MU is committed to equality, diversity, and knowledge. Q: Do MU students receive certificates? Q: What about graduation photos? A: Yes. On completion of the curriculum students design for themselves, they get a handshake from The Provost, a Graduation photo with their class, and a proper-looking diploma. Q: What can I study at MU? In addition to these 19 programs, students may also choose a General Arts Degree, or their own Hybrid Arts Degree. Q: Is there a physical campus? A: MU is a Virtual University. From 1 January – 30 June 2015 we will have a physical virtual campus at the LEA23 region in the virtual world Second Life. Q: What do MU faculty members do? A: Some teach more-or-less traditional, full courses. Some offer single talks. Some focus on working with students. Most are actively engaged in their own work. Q: Where is the Schedule of Classes? A: Our current focus is on recruiting Students, Faculty, and Staff for the Spring 2015 semester. As we determine interests, areas of focus, and specializations, then a Schedule of Classes will be produced. Q: What types of classes are there? A: Full courses will often include surveys of historical and contemporary practice with the completion of several student projects. 1-day courses will typically focus on developing a specific skill or creating a specific project. While students are welcome to take classes, it is not required. If a student chooses to focus on MU as the Place / Reason to do their own projects, that’s great! A: In addition to public sandboxes, all Students & Faculty will have their own Studio spaces. Q: When does Instruction begin? A: Construction on the MU Virtual Campus at LEA23 begins on 1 January 2015. Rather than wait till the campus is completed, around 1 March, “Instruction” will begin on 12 January, with the campus still very much under construction. We want to bring students & faculty in right away. Rather than assign pre-built studio spaces, we’d like students & faculty to design their own spaces. We want to empower everyone at MU to create a university that meets their educational goals. We’re committed to education that is fun, relevant, & useful! Q: What kind of students do you think you will get? A: We won’t know until You apply! Pingback: LEA 23: "Medici University" von Isabella Medici (Post-169723) - [O.L.D.] Old London Docks - Best Second Life Fashion and Lifestyle Blog Feeds!